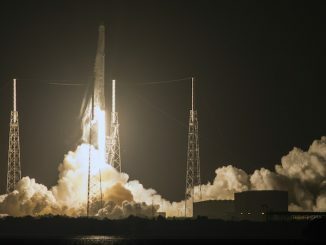 Ground teams at the Kennedy Space Center were packing last-minute cargo into a commercial Dragon supply ship Sunday, a day before the automated freighter is set for liftoff on top of a SpaceX Falcon 9 rocket on a two-day trek to the International Space Station. The final biological research experiments, including a habitat with 20 mice, were to be installed inside the craft’s pressurized cabin before technicians close the ship’s hatch and raise the Falcon 9 vertical on launch pad 39A. Working under contract to NASA, SpaceX is set to launch its 12th cargo delivery flight to the space station at 12:31:37 p.m. EDT (1631:37 GMT), roughly the time the research lab’s ground track intersects Florida’s Space Coast. The 213-foot-tall (65-meter) Falcon 9 rocket will turn to the northeast to align with the station’s orbit, kicking off a 42-hour pursuit with 6,415 pounds (2,910 kilograms) of experiments, food, supplies and spare parts to replenish the space lab’s research backlog and stockpiles. That figure includes the weight of packaging needed to secure items stowed inside the Dragon spacecraft. 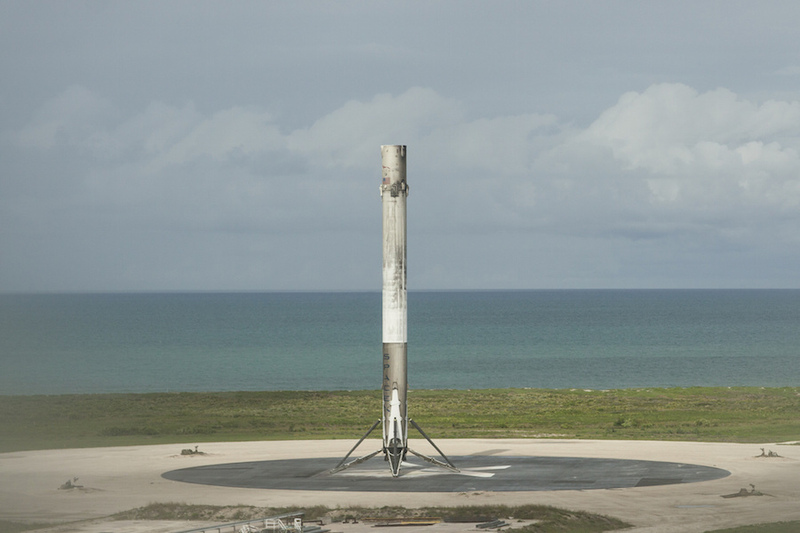 SpaceX plans to recover the Falcon 9’s first stage booster a few minutes after the launch. After detaching from the Falcon 9 second stage around two-and-a-half minutes into the mission, the 14-story booster stage will flip around and reignite a subset of its nine Merlin engines twice to return to Landing Zone 1 at at Cape Canaveral Air Force Station. A final braking burn by the first stage’s center engine will slow the rocket just before touchdown. A four-legged landing gear will unfurl at the base of the booster as it settles on the concrete landing zone, located approximately 9 miles (14 kilometers) south of the rocket’s departure point at pad 39A. If successful, Monday’s landing will mark the 14th time SpaceX has recovered one of its Falcon 9 boosters intact, either at sea or on land. SpaceX aims to refit and reuse the rockets in a bid to make spaceflight less expensive, and two of the company’s flown rockets have made second flights to date. The rocket flying Monday is a new vehicle, but the first stage’s landing legs were previously-flown, according to Hans Koenigsmann, vice president of flight reliability at SpaceX. The booster’s touchdown will come moments before the Falcon 9’s second stage engine delivers the Dragon cargo capsule to orbit. 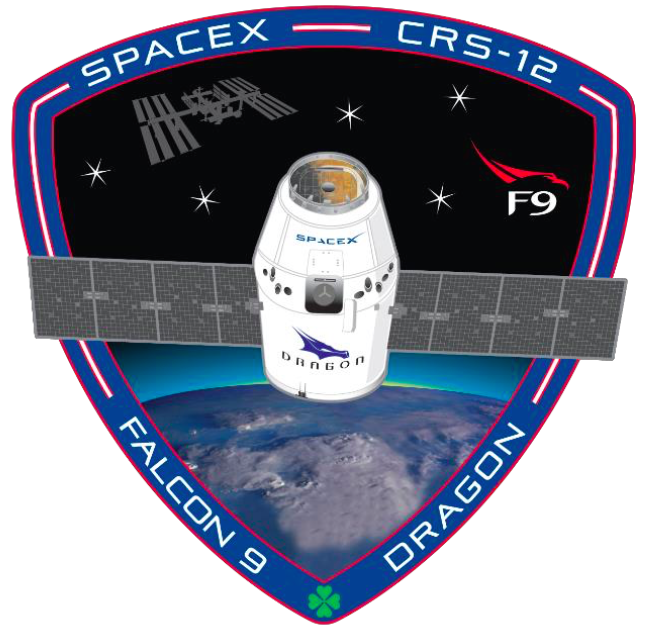 The freighter is scheduled to separate from the rocket around 10 minutes after blastoff, and the Dragon’s two power-generating solar panels will extended a couple of minutes later. Multiple thruster firings by Dragon’s on-board rocket jets will begin steering the capsule toward the space station. 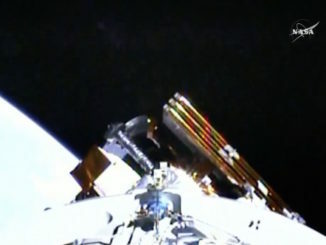 The automated rendezvous will conclude Wednesday, when the ship will approach the station from below, using lasers and a thermal imager for the in-orbit linkup. Astronauts Jack Fischer and Paolo Nespoli will unlimber the station’s Canadian-built robotic arm to grapple the free-flying spacecraft around 7 a.m. EDT (1100 GMT) Wednesday. The robot arm will maneuver the Dragon to a berthing location on the space station’s Harmony module for a month-long stay. SpaceX and NASA have just one try to launch the station cargo freighter, or else face a delay that could stretch a week or longer. Russian cosmonauts Fyodor Yurchikhin and Sergey Ryazanskiy will release five small satellites during a spacewalk Thursday, and station managers want to ensure all of the spacecraft are well away from the complex when Dragon nears. NASA does not want to launch the resupply mission and have the spacecraft loiter away from the space station until it is safe to approach. Some of the biological experiments inside Dragon are time-critical, including a nest of mice with limited food inside the capsule. “Could we loiter? 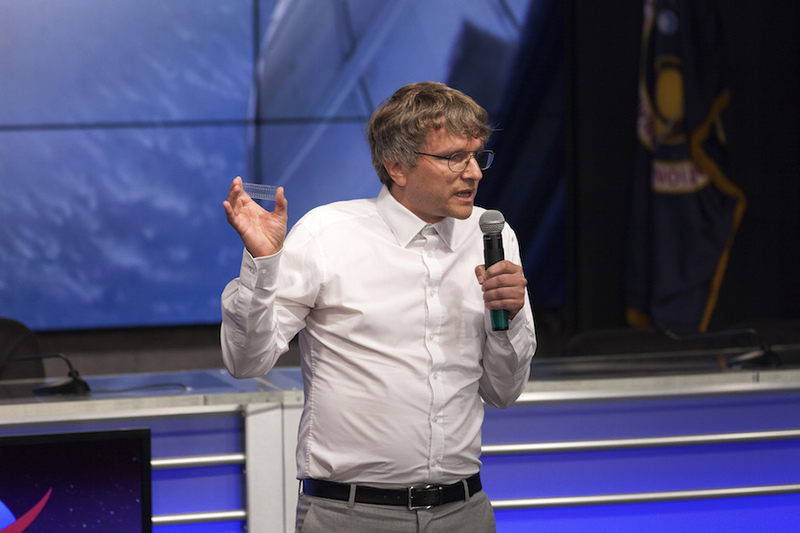 Yes, at the expense of losing research because their samples have X amount of hours before they need to be offloaded and brought onto the station,” Hartman said. If the mission took off Tuesday, it would arrive at the space station Thursday, the same day as the spacewalk. 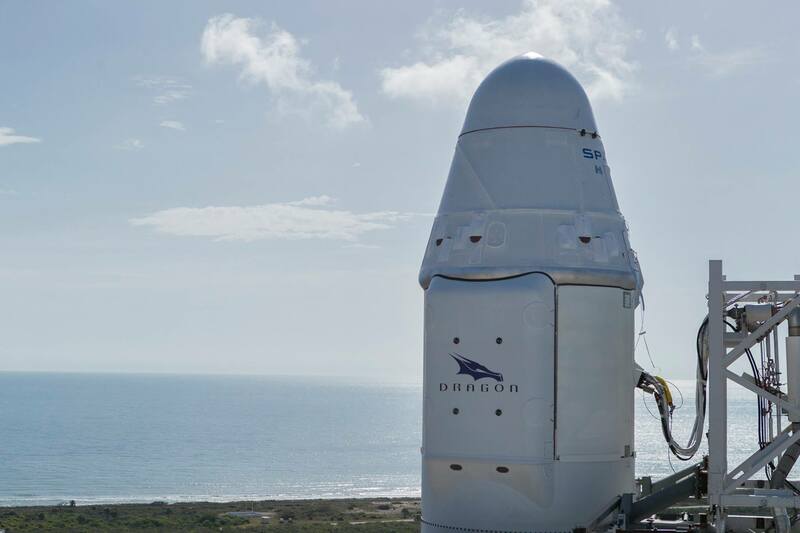 Officials expect it to take several days to estimate the orbits of the five satellites released during the excursion, meaning the Dragon could not begin its two-day chase of the station until around Saturday, Aug. 19, Hartman said. 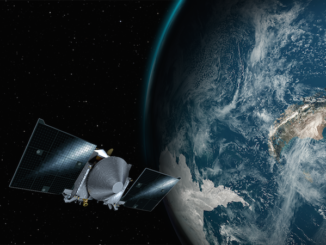 A NASA communications satellite is slated to launch from Cape Canaveral aboard a United Launch Alliance Atlas 5 rocket Friday. ULA has reserved a backup launch opportunity Saturday, and it takes a couple of days to reconfigure the U.S. Air Force’s Eastern Range between rocket flights. An Orbital ATK Minotaur 4 rocket is being prepped for launch Aug. 25 from Cape Canaveral. The range is required for the Minotaur flight, set to loft a military space surveillance satellite, and for a comprehensive launch rehearsal scheduled early next week, a few days after the Atlas 5 flight. Whether SpaceX could find a hole in the jam-packed range schedule remains unclear. Forecasters predict a 70 percent chance of good weather for Monday’s one-second launch window. Meteorologists will watch for rain and cumulus clouds in the rocket’s flight path. Once Dragon arrives, the station’s six-person crew will enter the capsule and unload the payloads inside, overseeing a multitude of biological experiments before the ship’s departure and return to Earth next month. Twenty mice heading into space Monday will be examined after their return to the ground to aid researchers studying how spaceflight affects vision and movement. Three CubeSats will also be ferried to the space station for release from a ground-commanded deployer in the coming months. 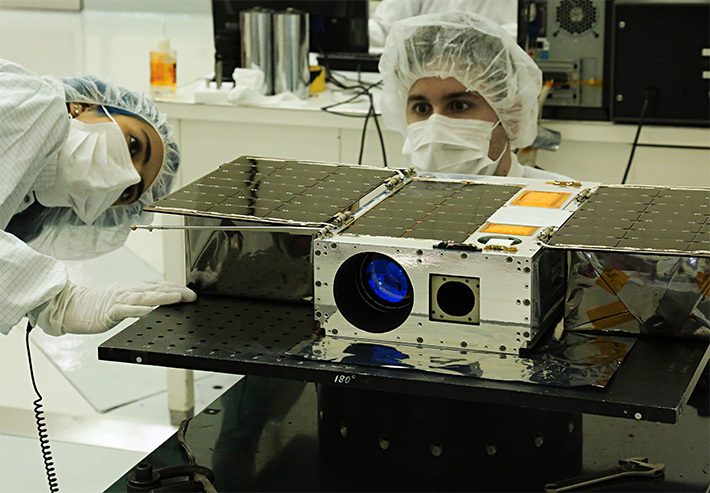 Another CubeSat named OSIRIS-3U from Penn State University launching Monday will study space weather.